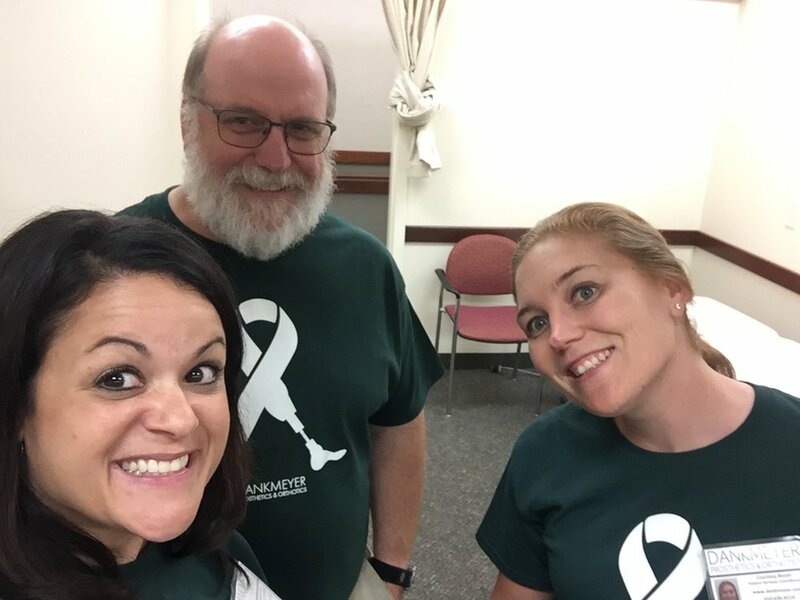 Register Now for 11/14/18 Amputee Walking School! Dankmeyer, Inc. is hosting the next event on the AWS calendar on Wednesday, November 14, 2018 at the Dankmeyer Linthicum office, so put that one on your calendar. We would love to see you! On top of the professional and evening sessions, this is an opportunity to meet Dankmeyer staff members, get a little tour of the facility and meet 3DPO in person - that little green 3D intern has a selfie station all ready for you! Registration is open for both parts of the event and you don’t want to miss this last session of 2018. 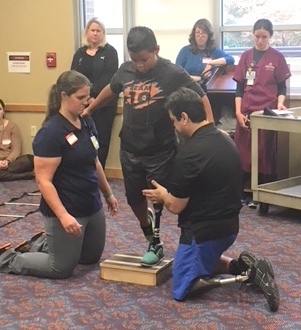 Professionals can take advantage of new updated material in a day long teaching program “Lower Limb Prosthesis Prescription and Training Considerations: An Update”. To register for this, click here. For those with lower limb loss and their families, the evening event is free, but we ask you to register so we are prepared for you! Click here. We had a very busy and fun day last year and here are a few pictures of the event!